Virtually every single time North Korea conducts a missile or nuclear test, the US and South Korea issue a statement reaffirming their "ironclad" alliance, but now that Pyongyang has demonstrated a capability to melt iron in either country, the game may have changed. Colin Kahl, a former national security adviser to the Obama administration, tweeted that North Korea's ability to hit the US mainland with a "city-busting" bomb tests the US-South Korean alliance like never before by posing an impossibly difficult question: Would the US trade San Francisco for Seoul? For decades, the US has kept South Korea and Japan from developing their own nuclear weapons by promising to respond to North Korean attacks with nuclear retaliation if needed. But now, if North Korea attacks, the US can't just nuke Pyongyang without fear of retaliation and possibly losing one of its own cities. While the US's nuclear forces deter North Korea and every other nation from attacking its homeland, South Korea relies on extended deterrence. "Extended deterrence is basically our willingness to protect allies overseas from attacks even in the face of the possibility that the attacker could use nuclear weapons against the US," Joel Wit, a former State Department employee and the founder of 38 North, a website for expert analysis on North Korea told Business Insider. According to Wit, the US must make a "continuing effort to reassure and bolster our allies that yes, we would" protect our allies even if it meant a nuclear attack on US soil, but President Donald Trump hasn't exactly been doing that. Responding to this creeping doubt, the US State Department released a statement saying it would increase meetings of the Extended Deterrence Strategy and Consultation Group which serves to bolster the alliance. But in South Korea, people have already worried that North Korea may have achieved a major military objective — decoupling the US from South Korea, so they can fight one and not the other. Indeed South Korea has already forged ahead with developing its own missiles and reworking missile control treaties with the US to allow for bigger, more powerful bombs. Additionally, Trump has repeatedly questioned the US's relationship with South Korea and Japan, and even entertained the idea that the nations could develop their own nuclear weapons. Wit warned of a possible "strategic divergence," wherein South Korea and Japan decide they can't trust the US and that "their interests are served in a better way by building their own nuclear weapons." According to experts on nuclear arms, the more countries have them, the more dangerous the world becomes. 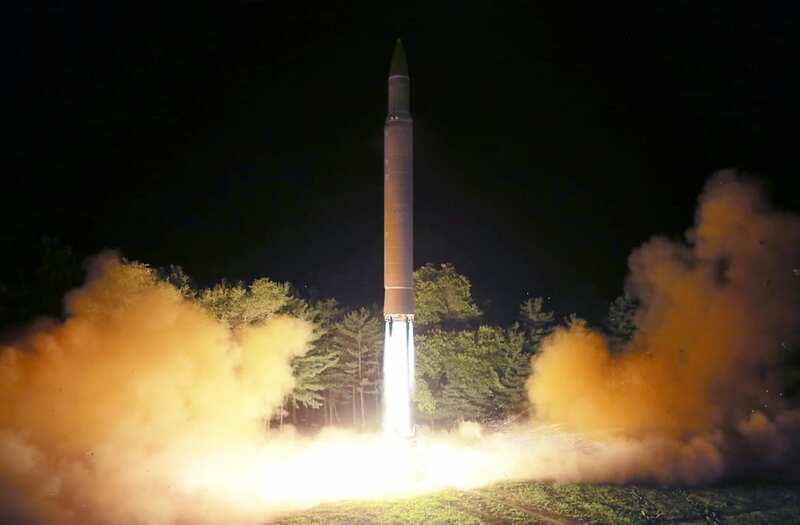 "If South Korea and Japan were to acquire their own nuclear deterrents, that would send an incredibly dangerous signal to our allies in the Middle East," Kingston Reif, the director for disarmament and threat-reduction policy at the Arms Control Association previously told Business Insider. "It would be incredibly destabilizing development," he added. Kahl suggested that the US reaffirm its commitment to protect South Korea at any cost, but cited Trump's lack of follow through on previous threats and bluster as discrediting the US in this area. But if Kim Jong Un can drive a wedge between the US and its Asian allies, it would go down as an unbelievable win for North Korea and demonstrate to the world that rogue states can wield nuclear might and even back down the world's foremost superpower while increasing the risk of nuclear war.